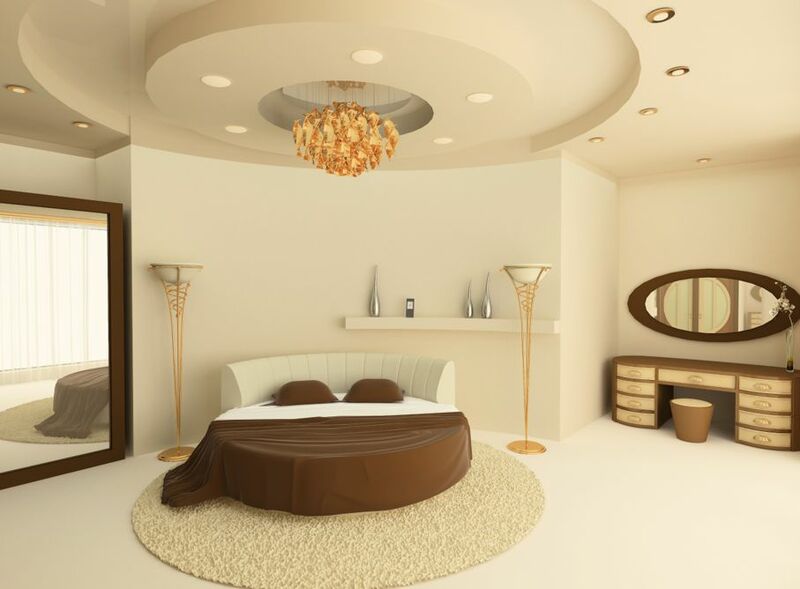 Circular shapes are a great way to energize your interior design. Except in lamp shades and small room décor accents, circles don’t often find their way into mainstream interior design. 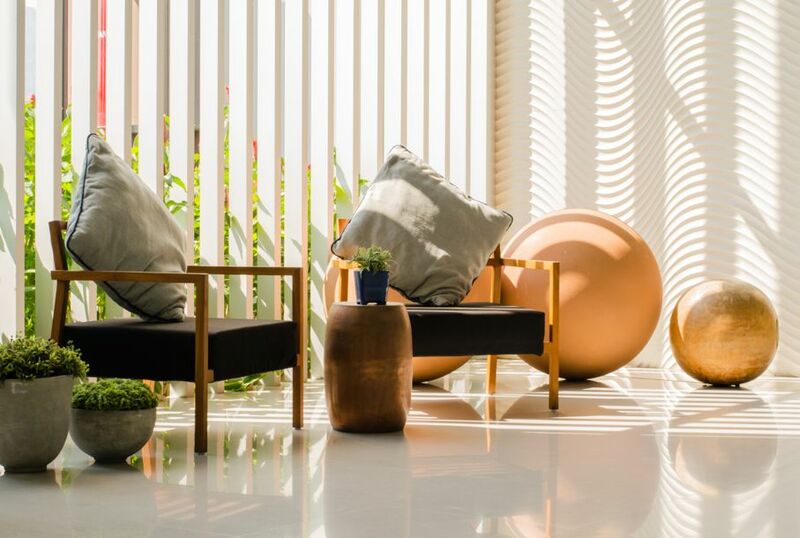 Perhaps because of the straight lines of common house design architecture, it doesn’t occur to many of us to include circular elements into our spaces. But perhaps we need to rethink that. Circles have much to offer our homes. Symbolizing the unbroken line of no beginning and no end and no direction, the circle represents infinity, embracing all space and time. Typically used to signify the unknowable eternity, circles aren't just a spiritual symbol. They can be a more down-to-earth symbol of perfection too. Who wouldn’t want this serene and yet revved up energy in their home? Whether you believe the above woo-woo or not, there’s something about a circular shape that creates a shift in the energy of an otherwise linearly-designed room. 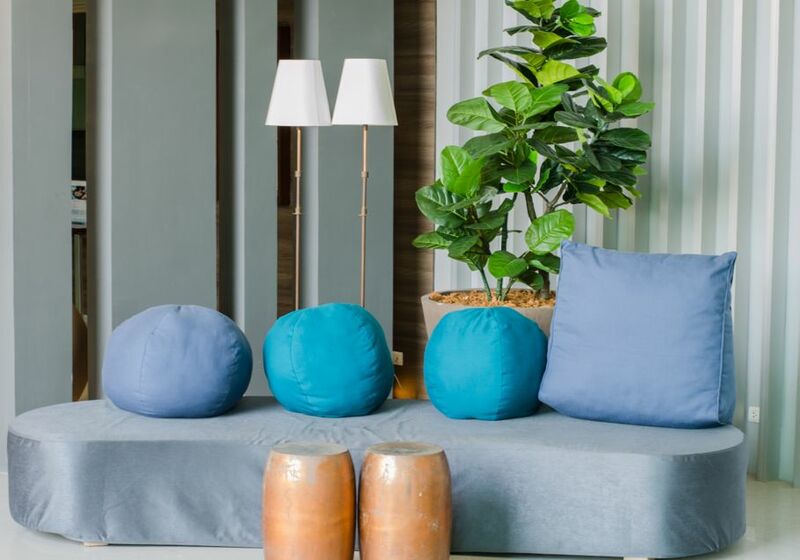 If you’re game to mix it up a bit with the energy of your space, try out these seven interior design ideas to supercharge your home décor with circles. A lot of contemporary design has a simple color palette and a sharp impression that can result in a density of energy. 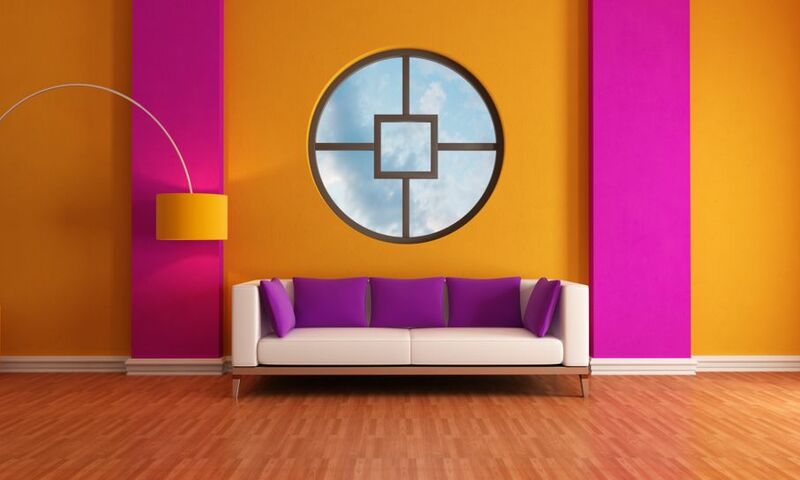 When you insert a circle into this design picture, it will freshen the space. Can’t you just feel the fresh energy of the space above? Try holding you your hand to block the red rug and notice how stagnant the room feels without it. Square and rectangular furniture footprints have a way of segmenting the energy of a room. It can feel like the room is a checkerboard, and you have to step from one space to another. When you add a circular furniture piece, however, the energy starts to flow again. Something about the curved edge of a circular table or other furniture piece seems to grab the energy and get it moving. The above room has a cohesive flow it wouldn’t have had without the dining table. Lines, lines, lines. Edges, edges, edges. Angles, angles, angles. These are what most rooms are made of. When you have a space like that, you have energy out of balance. Adding even a small circular element, like a mirror, will level out the space. See how the mirror above gives the room a comfortable proportion? 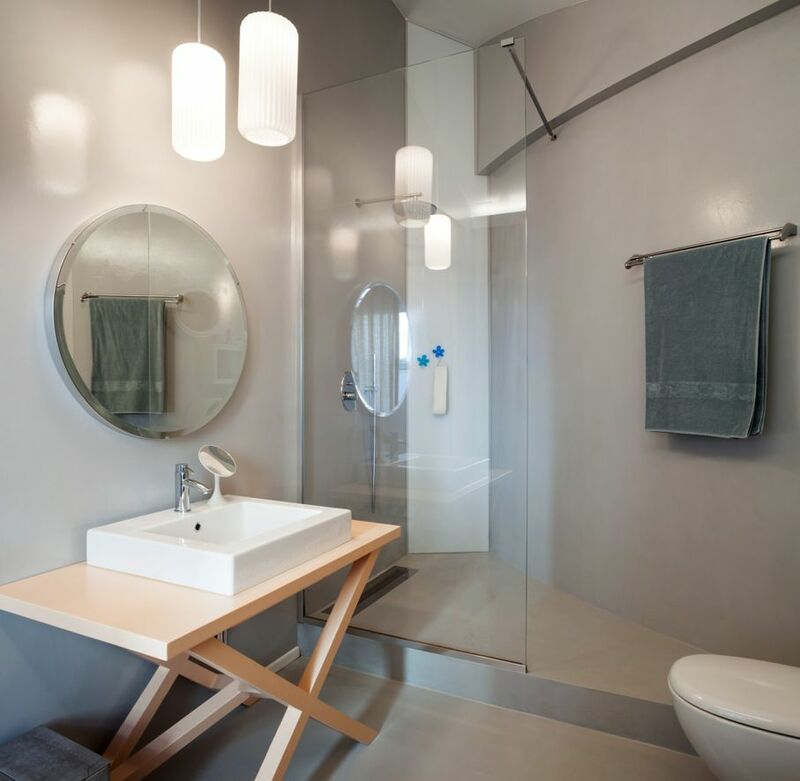 A square or rectangular mirror couldn’t have done that. No matter how open and spacious we attempt to make a space, confined rooms can feel like boxes. One of the best ways to open up a space that feels restricted in this way is with a circular window. Notice how free the above area feels? Even with the bright, bold colors, a straight-lined window would have shut down the room. Perhaps because the circle provides a view that’s reminiscent of the world itself, it invites us to look for the possibilities instead of the sameness we generally have in our surroundings. Soft, romantic spaces can be challenging to achieve with just lines and angles. But throw in some curves and circles, and the ahh just settles right in. Try to imagine the décor in the room above in a square space. Also, imagine a square bed and a square rug. That imaginary room would have a pretty executive feel, wouldn’t it? Tan and brown aren’t exactly dreamy. But let them paint circles, and suddenly they become comfortable and relaxed. You can get this same mellow feel with a brighter colored circle as well. 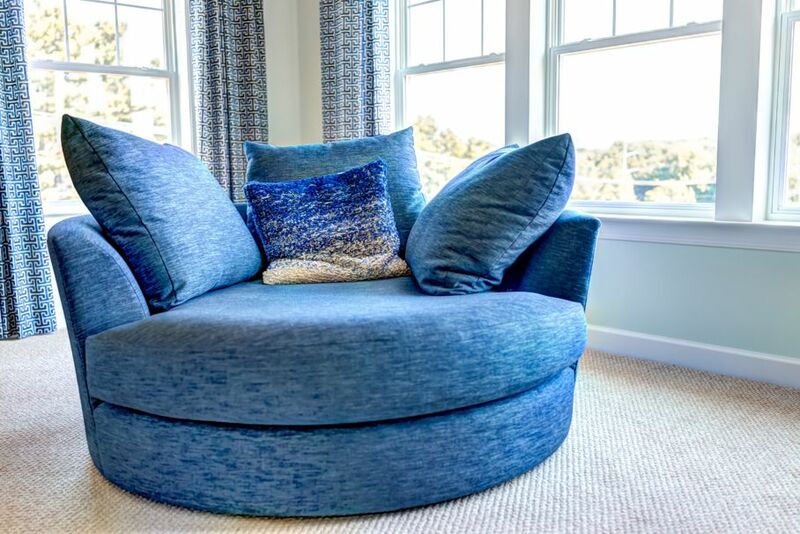 Try one piece of plush circular furniture in a corner. A chair like the one above immediately inserts serenity into an otherwise straightforward space. If you want to make a statement in your room design, you need an element that will draw your eye to just the right place to telegraph what you desire to say. A circle included in a crowd of angular décor will do just that. The yellow pillow above is the clear focus of the bed. 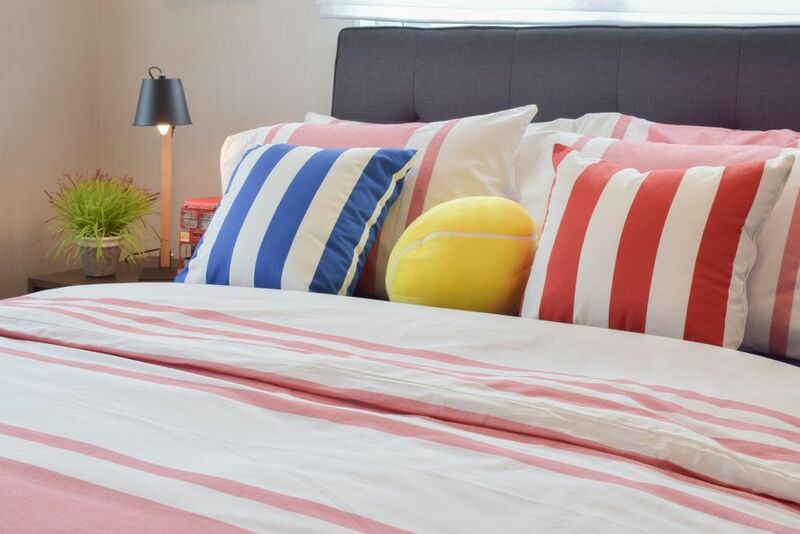 Surrounded by lively stripes, the yellow pillow stands up and announces, “This is a fun space!” Without the pillow, the stripes would have looked great, but the intended design impact would have been unclear. In an otherwise serious space, circles romp in and add some gaiety. Sometimes they can do that almost literally, with ball-like design elements, such as puffy pillows. You can also bounce a ball, so to speak, into a more sleekly modern design by using metal as the material for your spherical shapes. Are you starting to see the kind of energy shifts you can get in your home with circles? Not just pleasing to the eye, circular design elements have the power to transform the emotional atmosphere of your space. 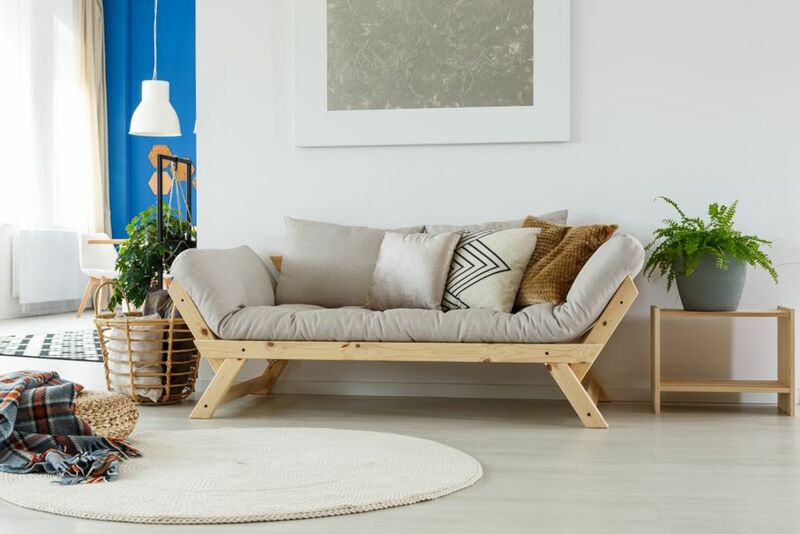 You can experiment with the above energy flips by purchasing small circular décor items for your home and seeing how they impact the vitality of your interior design. If you want to play around with how this works, try using circular elements in House Tipster’s Virtual Rooms.